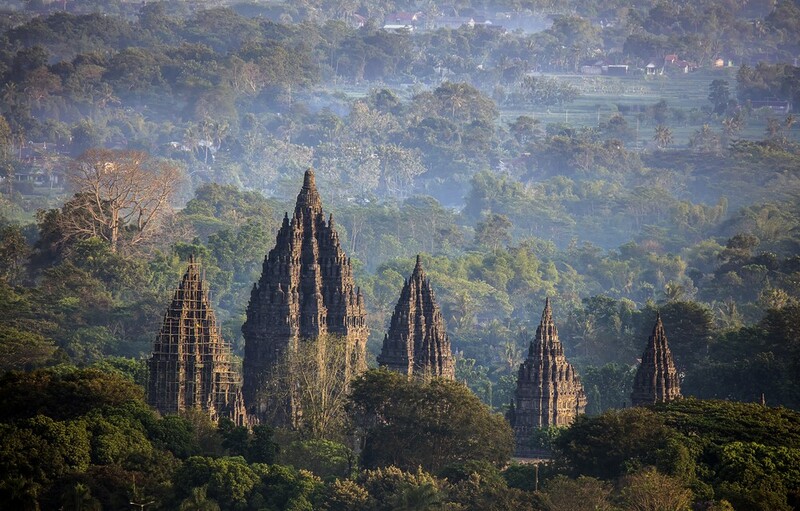 Indonesia is home to thousands of temples. Their centuries-old history and beauty make them one of the most popular destinations in the country. The most famous ones include Borobudur and Prambanan in Central Java and Muara Takus in Sumatra. As the temples were places of worship when they were built, there are a number of common rules and guidelines to obverse. Below is a list compiled by kompas.com. Temples are invaluable legacies from ancient times. The centuries-old stones that the temples were built with are very vulnerable to chemicals and vandalizing the temples by leaving marks or scribbling on them is strictly prohibited. Such acts could lead to the destruction of the stones, and the loss of history. While traveling these days cannot be separated from taking selfies, always bear in mind where you are. The majestic beauty of temples is undeniable, making them the perfect background in a photo. When posing for a photo near a temple, refrain from jumping in a group or climbing on a stupa. Such behavior could damage the temples to such an extent as to make restoring them next to impossible. A number of temples have different sets of rules. What is allowed in one may not be in another. Pay attention to the rules and your surroundings, and always remember to respect the norms in the area. Some temples are still places of worship as well as tourist sites, such as Kalasan and Borobudur for Buddhists and Cetho and Prambanan for Hindus. Prayers and religious ceremonies may be in the process, so be considerate of worshipers by watching quietly from a respectful distance. Some common rules include no littering, no running, no speaking in a loud voice and no swearing.